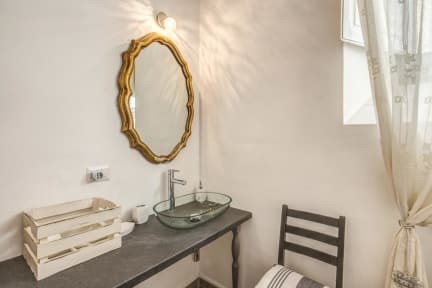 This brand new guesthouse is situated in a plush Italian building and offers 8 comfortable guest rooms available in either the single, twin, double or triple, quadruple and apartment varieties. Decorated and furnished in a fresh elegant style with a modern luxurious feel, and tiled marble floors. Our new guest rooms also enjoy the latest modern conveniences as: free high speed Wi-Fi internet access, safety deposit box, air conditioning, flat screen TV. The Relais la Torretta is the perfect choice for tourists wishing to see Rome on a budget. Relais la Torretta is well linked with transports. 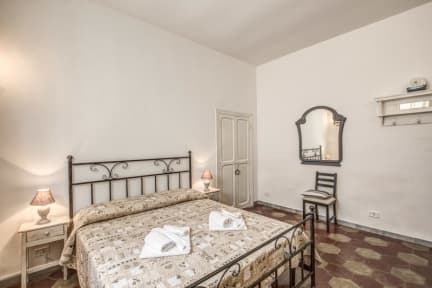 Ideally located within walking distance from the magnificent Basilica of St John Lateran (San Giovanni). We are just a 2 km away from the famous Terme di Caracalla end just besides the Via Appia. The Colosseum is at 15 minutes by transports. Our rooms have private en suite bathrooms with shower, bidet, hairdryer and complimentary toiletries. Check in from 11:00 to 22:00. Check out from 06:00 to 11:00.